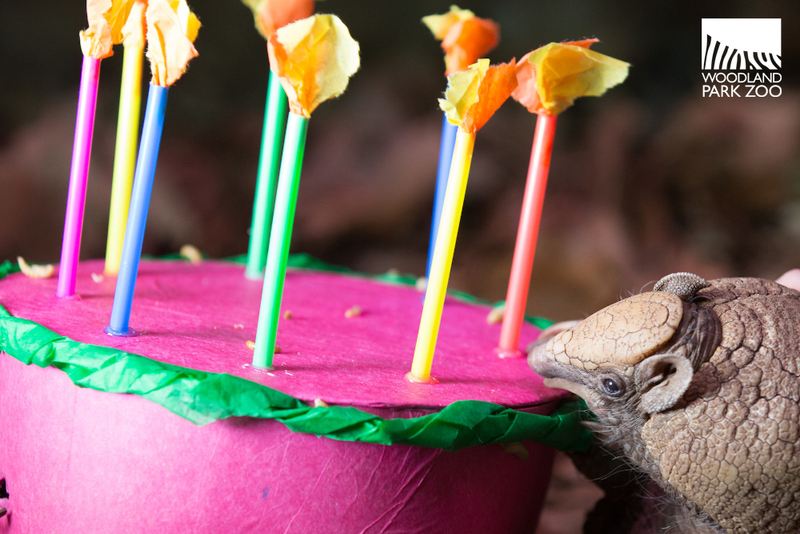 Woodland Park Zoo Blog: How do you celebrate the birthday of North America's oldest armadillo in a zoo? Cake and naps! 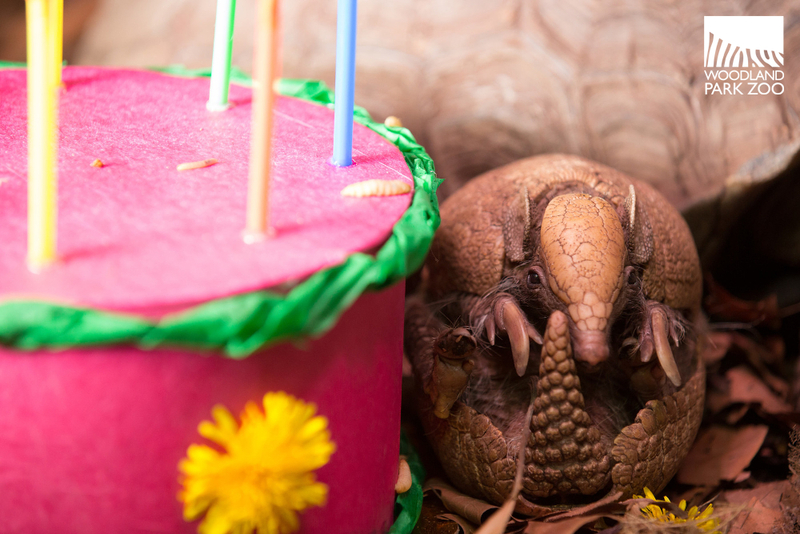 How do you celebrate the birthday of North America's oldest armadillo in a zoo? Cake and naps! I don’t know about you but I’m feeling 22 25! Photo: Jeremy Dwyer-Lindgren/Woodland Park Zoo. Make a wish! Photo: Jeremy Dwyer-Lindgren/Woodland Park Zoo. To celebrate this milestone, Maria’s keepers and local Girl Scout troop 44261 made her a “cake” out of cardboard decorated with tissue paper flowers and paper and straw "candles." Keepers then sprinkled bugs on top as a special treat. Maria ate a few of the bugs, and then it was nap time once she was full. 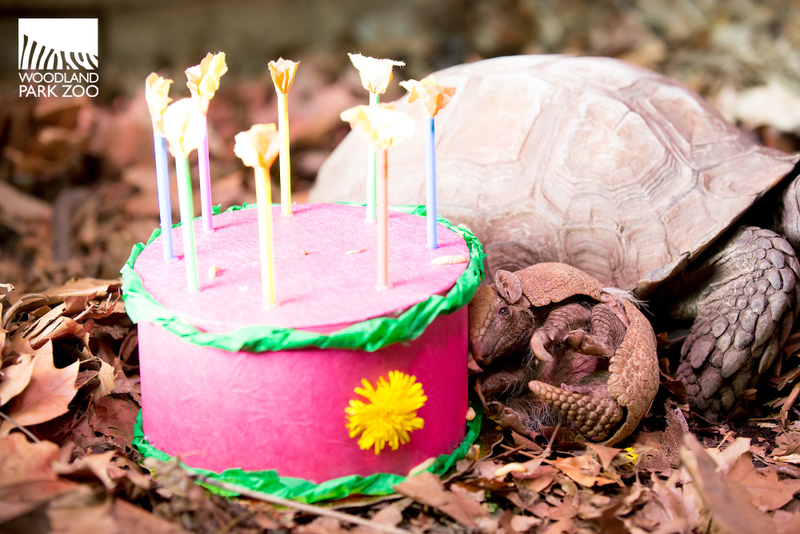 Her Burmese mountain tortoise neighbor was happy to step in to help her celebrate. 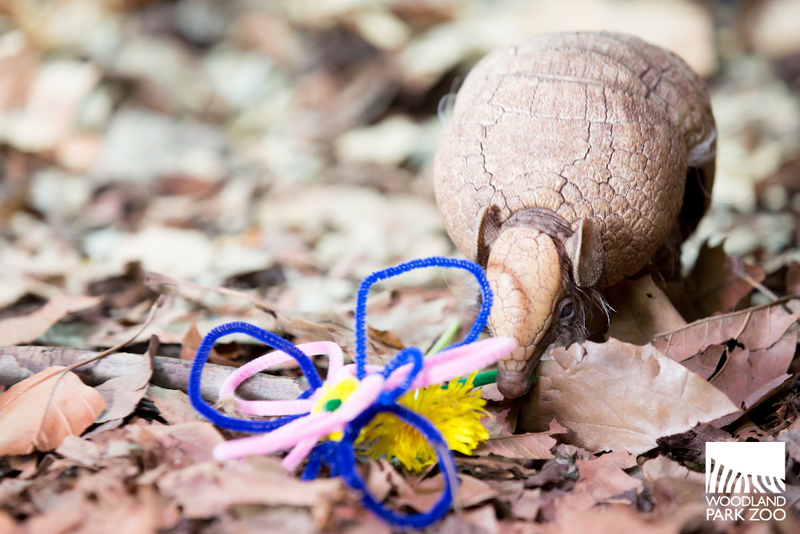 Maria's having a ball (excuse the armadillo humor). Photo: Jeremy Dwyer-Lindgren/Woodland Park Zoo. Too much birthday cake? We've all been there, Maria. Photo: Jeremy Dwyer-Lindgren/Woodland Park Zoo. Maria is quite the amazing architect, excavator and construction worker. She builds amazingly deep and long burrows in the exhibit that are able to withstand the weight of a person walking over them! About twice a month keepers add new leaf litter to the exhibit which always sets Maria into overdrive. She loves to explore the new smells and eat any bugs that may have come in with the leaves. These moments of excitement are balanced with hours and hours and hours of rest. 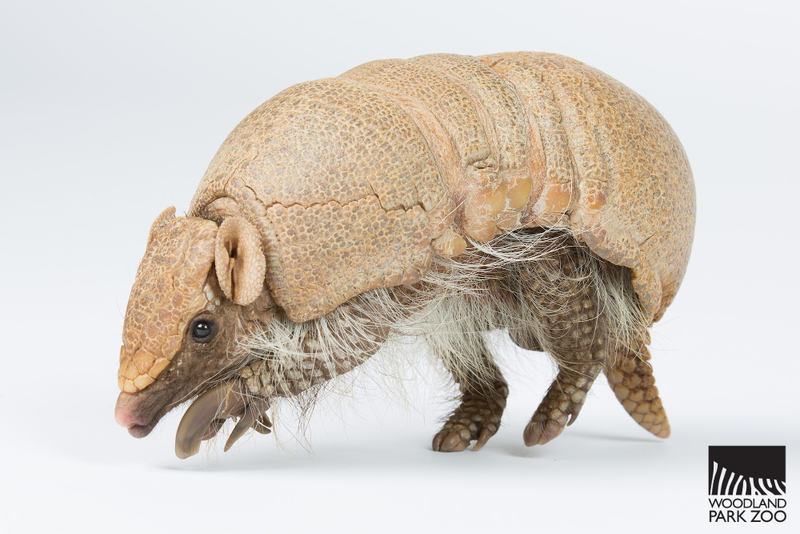 Armadillos are nocturnal and sleep for up to 16 hours a day. Though she lives in her exhibit 24/7, Maria is not always visible given her nocturnal nature. The best time to try and catch a glimpse of her is right when the zoo opens before she goes to sleep for the day (no guarantees though!). Sometimes Maria will sleep on the surface of the exhibit; when she does this, it’s usually under the heater in the far back of the right side of the enclosure. Occasionally, visitors can spot her eating out of the tortoises' feed pans; she’s also been known to pull off and eat large pieces of pumpkin from the jack-o-lanterns given to the tortoises during Halloween time. Eduardo, Maria's son. Photo: Jeremy Dwyer-Lindgren/Woodland Park Zoo. Maria’s had three offspring at Woodland Park Zoo, one of which is Eduardo, an ambassador animal at the zoo. 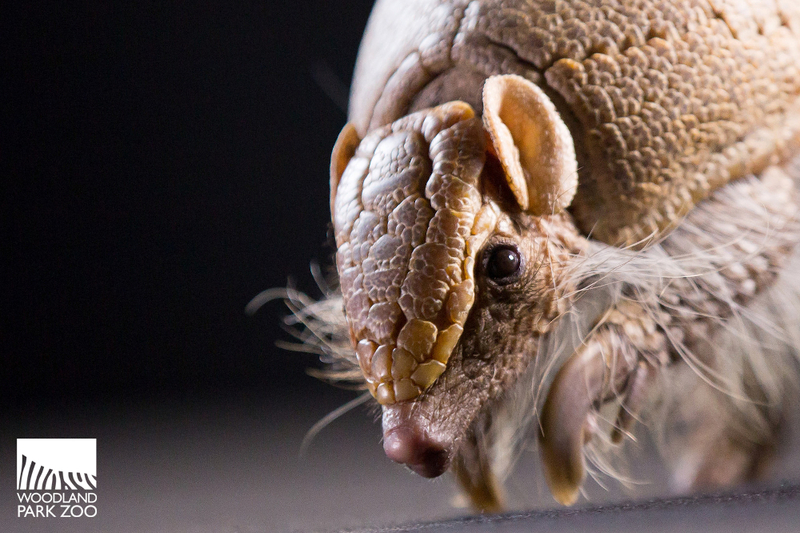 Born in 2003, he's a familiar face to many who have seen him during zoo classes and programs that teach visitors about armadillos, the threats they face in the wild and how to protect them. You’ve probably seen him at one of our zoo events (Tasting Flight, for example) and you should keep your eye out for him as one of the stars of our new ad campaign this summer! Eduardo on the set of our commercial video shoot. He'll be a star this summer in the zoo's advertising campaign. Photo: Jeremy Dwyer-Lindgren/Woodland Park Zoo. Maria has certainly made a legacy here at Woodland Park Zoo. She is a beloved member of our zoo family and today we celebrate her. Here’s to you, Maria! Happy birthday, and may there be many more. Losing your hair is a blow to the system, especially when it starts to change the way you look. If you look at the history of hair loss patterns of your parents and close relatives, then the fate of your own hair must seem inevitable. The sooner you seek out hair restoration treatment, the better the outcome as starting hair loss treatment early means that you will have fewer years of worry, watching your hair disappear down the plug hole. 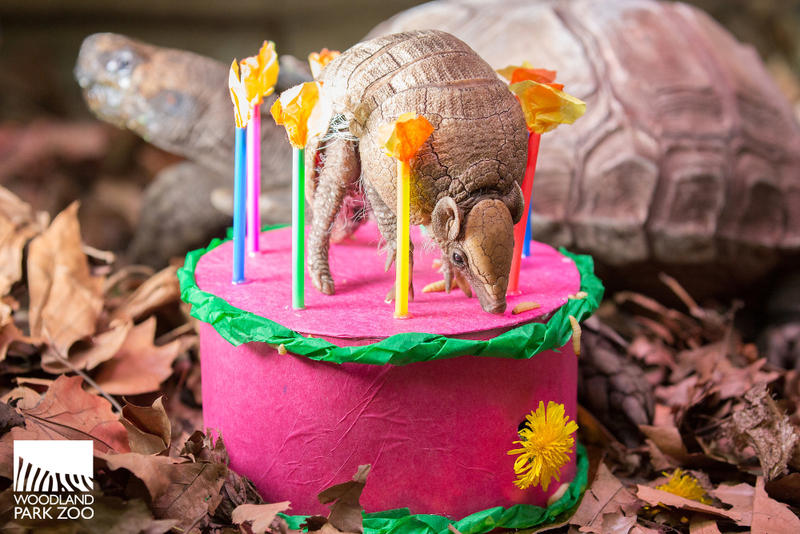 Happy Birthday, little pal! ♥ Many more returns!